We have a special offer for the Olivier Award-winning global dance phenomenon that is "Tap Dogs", created by Australian dancer and choreographer, Dein Perry. The show opened this week at the Novello Theatre and runs until Thursday 8th July, with balcony tickets starting at £17.50, stalls from £25 to £47.50 and dress circle tickets costing £47.50. We're pleased to be able to offer you top-priced tickets (£47.50) for just £30 for all shows from Friday 18th June - matinee and evening performances. 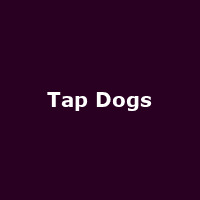 Click on the "Tap Dogs Offer" button, below, to check for availability.